Pokémon Go game does not require any introduction. Niantic developed it, and it was a huge hit. People around the globe are already busy in catching Pokémon in every place, and all are with the aim to catch all Pokémons as soon as possible. Every one of us knows one or the other trick, and if you are looking for almost all Pokémon Go tips and tricks, then this article is for you. I will let you know all Pokémon Go cheats and tricks which would help you to catch all Pokémons quickly, get more XP points and much more. Let us jump into that without any ado. Download the PokeRadar Apk. 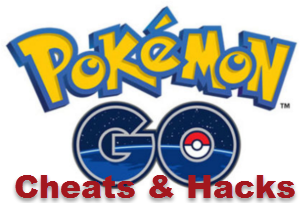 These Pokémon Go cheats and tricks help you to become the Pokémon Go master, and you can catch all Pokémons, earn more gold coins, and earn more points and much more quickly. While playing Pokémon GO, you would see that AR mode is turned ON. When you see Pokémon, then it is advised to disable AR, so that your camera will only be focused on Pokémon and it would make it easier to catch the Pokémon. While you are moving around your surroundings, then at the lower right on the map it shows Pokémon silhouettes. Just tap on that and it would show you all NearBy Pokémons. Just tap on any of the Pokémon and it shows you the footprints needed to catch that Pokémon. If you start moving, some footprints many increase or decrease. If the number of prints increase, it means you are moving away from the Pokémon, and when footprints fall, then you are moving near to the Pokémon. You need to move in such a way that some footprints are zero, such that Pokémon is nearby, and you can catch it. After visiting PokeStops, you would collect some Eggs. To hatch them, you need to walk for some steps. To do that, you need to tap on the egg, incubator and then start walking. But, there is a hack for this. Instead of walking you can take the bike, car or bus. You need to keep the app open, and it just checks how much distance you have covered, but not how you have included. So, follow this hack and optimize the egg hatching. You throw Pokeball to catch Pokémon and gain points. I will let you know the hack to be used to throw the Pokeball to gain more points for catching Pokémon. Just tap and hold the Pokeball and rotate it clockwise (right side) till it shows some sparkles. Then throw the Pokeball towards the left side and it would catch the Pokémon and gains you more points than regular. You earn XP when you evolve a Pokémon. But, there is a way to gain more XP when you evolve a Pokémon. Try to catch many low-level Pokémon as you want. Keep an eye on how many candies you need to hatch them. Even if you have duplicates, you can transfer them in exchange for one candy. When you have enough candies or Lucky Egg, then you can evolve all Pokémons at once which gives you more XP then evolving each Pokémon individually. Lucky Eggs are the one which is given to you as level rewards or you can buy them from shops. You can use these Lucky Eggs while Pokémon and gain more points. But the best time is to use this while you are evolving Pokémons. XP doubles for all the Pokémon you catch and evolve for 30 minutes. If you normally get 500 XP, then by using Luck Eggs you would get 1000 XP, and it requires less number of candies than the regular. You would earn Candy by transferring Pokémon. Just tap on the Pokémon, scroll down till you find a bio and tap Transfer. It is always advised to transfer Pokémon to Professor Willow as once Pokémon is transferred, it would never get back to your again. Incense works in an excellent way to catch Pokémon. Next time when you reach any Pokémon buys Incense than Pokeballs. Use Incense and you could see Pokémon coming to your location within 30 minutes. I suggest you take a walk, and you can see Pokémon for every 200 meters. In the Pokémon, the list goes to the Eevee you want to edit, hit the edit icon and give the name by taking the above as a reference. Quit the app and restart, so that these names get saved to the Pokémon Go Servers. Now, you could see the evolution of Eevee as you want. As said above, you can use footprints present in your lower-right corner. You can do a lot more if it is used along with Compass. Just select the Pokémon you want and hit on the Compass. Now, start moving around and when you are facing the Pokémon, the lower-right tab shows the green. It even quickens when you move near to the Pokémon. You would throw Pokeball to catch Pokémon, and we may not get succeeded in the first attempt. So, we would lose the Pokeballs, and when you reach PokeStops, you may not be able to buy Pokeballs as your bag is full. This is no more a problem now. You can empty your bag by deleting unwanted Potions. Delete Potions, which are not required anymore and can buy Pokeballs when you come across the PokeStops. Do not regret in catching duplicate Pokémon. Catch as many as possible and if they are of the same type, then it can be useful. You can transfer the Pokémon to Professor Willow for candy. This way you can earn more candies. So, from now on when you are trying to catch Pokémon, then hold the Pokeball and wait till the rings become smaller and get the required color. Now, you will not be losing the chance of catching Pokémon. After you reach level 5, you are supposed to select the team when you tap on the Pokémon Gym. Teams available are the Red Team Valour, Team Instinct, and the Blue Team Mystic. Once you select the team, there is not going back. So, you need to be wise in selecting the team. I advise you to select the team which is strong in your local area or join the team which is strong enough to take over other teams. We know that Pokeball is the one using which we catch Pokémon. But, most of us do not know that using Incense and Lure helps you to catch more Pokémon than catching with Pokeball. When you reach PokeStops next time, buy Incense and Lure. Incense allows you to lure Pokémons to your location in 30 minutes, and Lure helps you to attract Pokémon to PokeStops for 30 minutes. While you are playing Pokémon Go and wandering around keep an eye on PokeStops with falling pink petals. It is because, someone has left the lure module near PokeStops and you would see Pokémon coming there in the next 30 minutes, helping you to catch many new Pokémon. If you know Ingress app before which is also a game from the developer Niantic, then it would make your task of catching Pokémon easy. It is the game where you need to collect XP to control terrorists. XP locations on Ingress app is where we can find Pokémon in Pokémon Go game. Open both apps and look for locations where you can find Pokémon. As we know, we know to turn ON the GPS to play Pokémon Go, and it drains our battery. To overcome this problem, it is advised to use turn ON Battery Saver mode available in Pokémon Go game. You might think that you need to spend real money to get Pikachu gold. But, that is no more required. You can earn Pikachu gold through Poke gyms. You need to defeat every trainer of the Gym, and that would get Gym to your team. What you do is, drop 10 Pokémon at Gyms, such that you need to hold the Gym as long as you can. This would give you 500 dust and ten coins for every 20 hours of holding the Gym. You can level up quickly by using the Lucky Egg, which helps to earn double XP than the normal. Collect as many as Pidgeys and keep them with you. Use them at the right time and evolve Pidgeys with the help of Lucky Eggs and you would earn double the XP you earn for 30 minutes. This would help you to level up quickly. To get started with Pokémon Go, it is good to start from parks with water and choose salt water beach parks. It is always advised to choose the place which has more PokeStops so that you can buy Pokeballs when required. In order to catch Pokémon, you need to wander around your places. But, we are not sure of where we could find them. Use Poke Radar for Pokémon Go and you would know all the locations where you can find Pokémon and you can catch all of them easily. Here are some of the Pokémon Go tips and tricks. If you have anything to add, please do share with us through comments.